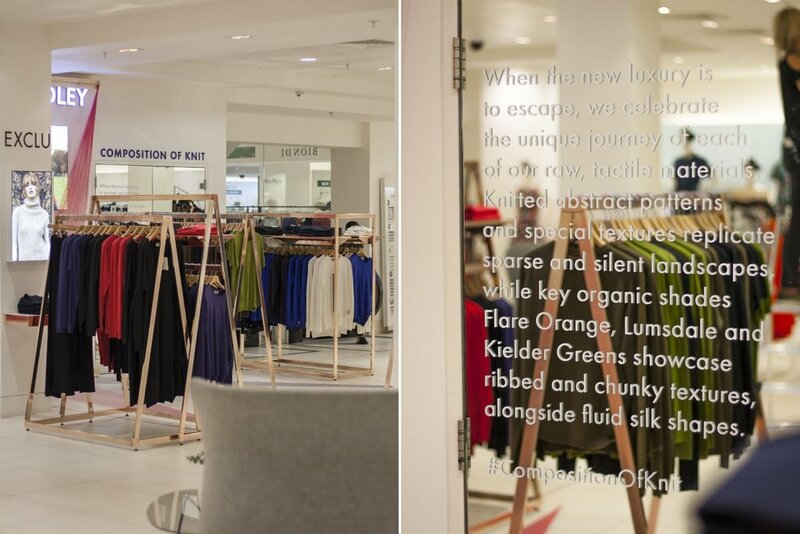 Experts in retail, we work closely with brands to create stunning window schemes, fantastic marketing materials and amazing shop fits. 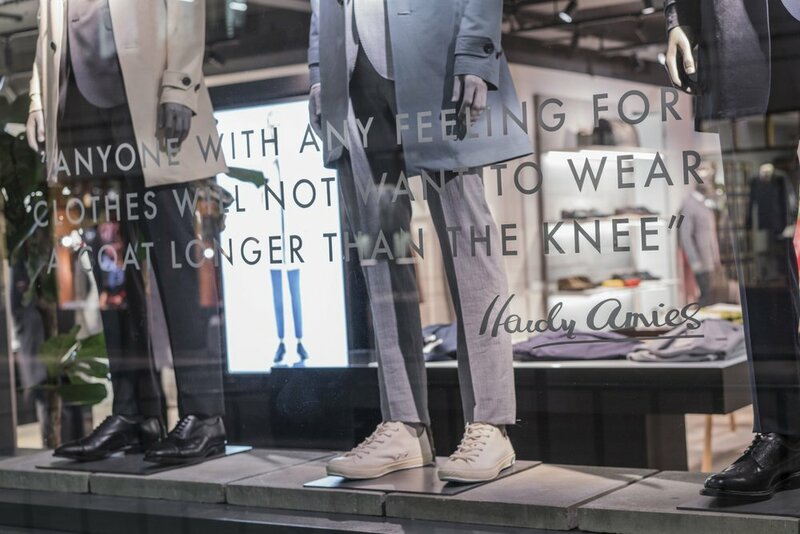 Description: Hardy Aimes asked us to create a window scheme to promote their outerwear offer, we responded by bringing the Great British weather into their store by creating this eye-catching cloud display. 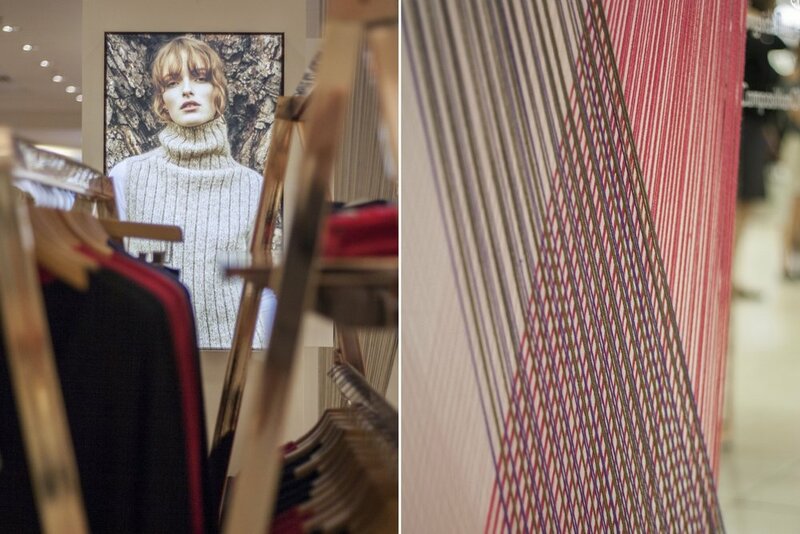 Description: We created a shop-in-shop for John Smedley at Fenwick on Bind Street, celebrating craftsmanship and femininity through bespoke fixtures and fittings. 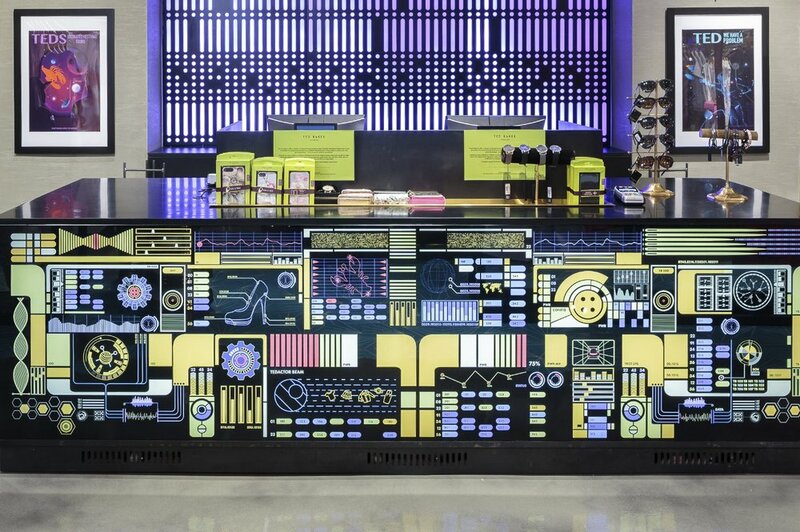 Description: We work closely with the Special Projects department at Ted Baker helping them deliver their stunning stores across the world.